You will be aware, if you read these pages on a regular basis, of my support for Mr James Stone and his various combos over the years. The last few singles/EP from his latest band Soul Saboteur have been featured on the Aural Delights podcast over the last nine months – all of which appear on this album. This is my featured album for this weeks Aural Delights podcast. I described the band as “soul-blues-rock” a couple of reviews back and this seems to have stuck with them as a descriptor. However, I think that this album, which includes elements from all three of those genres, has a much wider agenda than the narrow confines of those words. There are times when listening to this when I was genuinely amazed by the quality of the performance. I have commented on the quality of Stone’s voice before, on this album he has exceeded the previous praise I gave him. There’s an octave leap on second track in “Apathy & Charm” which is so memorable that I had to play the track several times over just so I could absorb what was going on. The vocal pyrotechnics on this album are impressive, but it’s not just a one trick pony around the voice – the tunes and lyrics are similarly impressive – and in Carl Morgan-Peters, Andrew Hall and Jason Griffiths, Stone has musicians who can ably and professionally articulate his vision. The intensity of this album is breathtaking – the nearest comparison I would want to make is with that of Van Morrison at his very best. However this music goes beyond the confines of the irishman’s r ‘n’ b into a restless rock sound. Half way through the album the blues soaked “Olive Branches”, for example, journeys impressively between a melodic verse into a guitar rich chorus. The melody from “Serenity’s Ghost” is immediately memorable without being too obvious. And that’s a good point actually, as the music, whilst recognisable, is subtly different from the norms of this corner of the world of rock. The blues holler that kicks off “Medicinal Venom” is stunning – you will no doubt recall the quality of the earlier EP version from “Clip Your Wings”. The title track of the aforementioned remains one of my favourite songs of the year – a marvellous piece of work with soaring melodies and a tour de force vocal performance. So you get 40 minutes of superb music – expertly delivered, emotionally powerful, and definitely something you will want to come back to. If Mr Stone and Co are not strutting their stuff on Jools Holland or some similar TV show soon then the world is decidedly unfair. 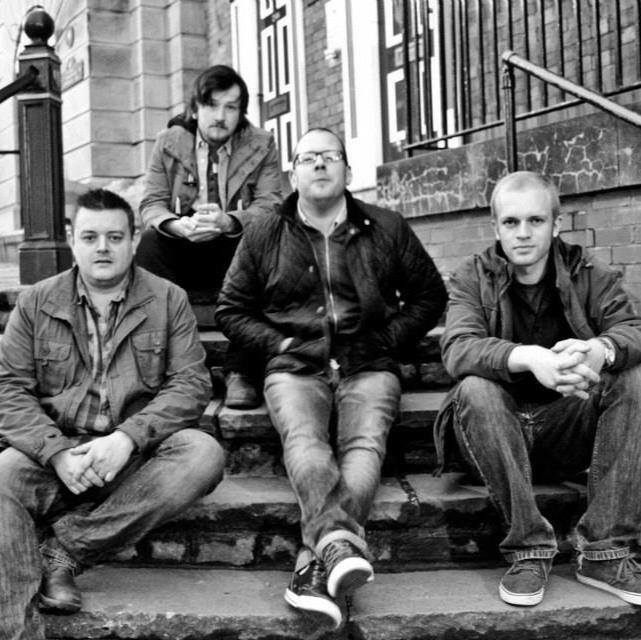 The band recorded the album at West Orange Studio in Preston, Lancashire and it was produced by Alan Gregson, who has had success working with many artists including Cornershop (5 albums, 1 gold record single), multi-platinum-selling singer Russell Watson, Badly Drawn Boy (2 Singles), Rick Guard (international hit single), and platinum-selling opera singer Jon Christos. Gregson also guests on keyboards on this album. Here, as a taster, is the excellent album closer “Samantha Was A Drinker”. If anything amply demonstrates, that in terms of album structures , you should your punters wanting more then this closing epic piece of writing is it.